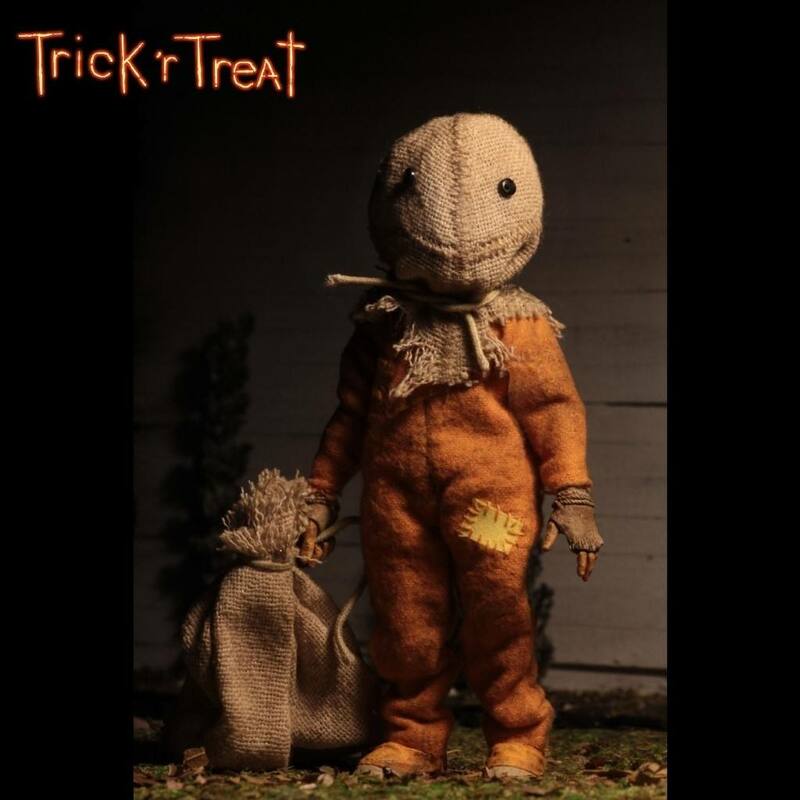 From the cult classic horror film Trick 'R Treat is this Sam clothed action figure from NECA. 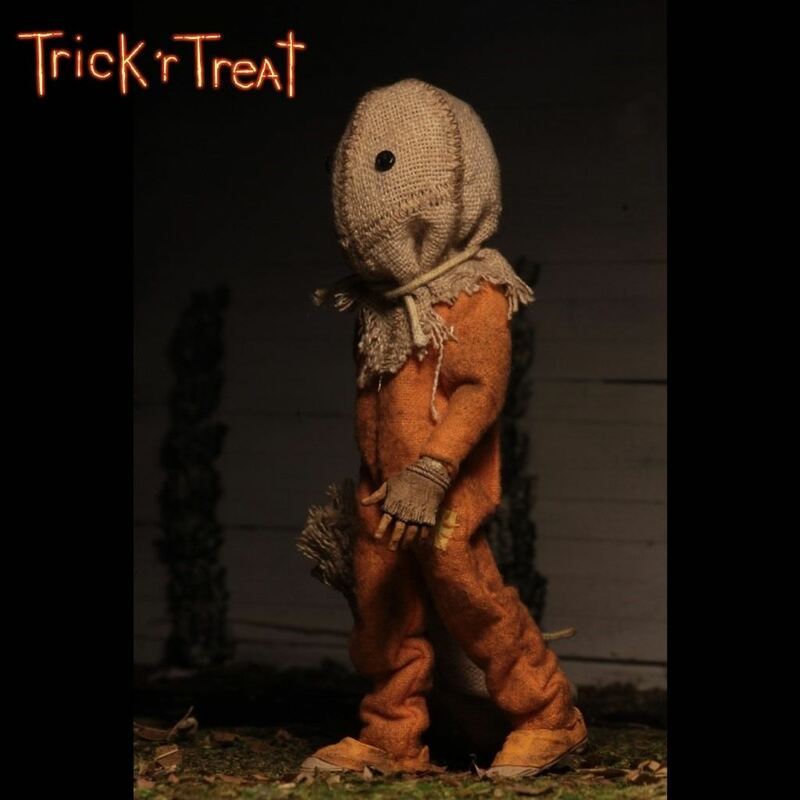 From the cult classic 2007 horror film Trick 'r Treat, NECA proudly presents the return of Sam, the mysterious trick-or-treater. 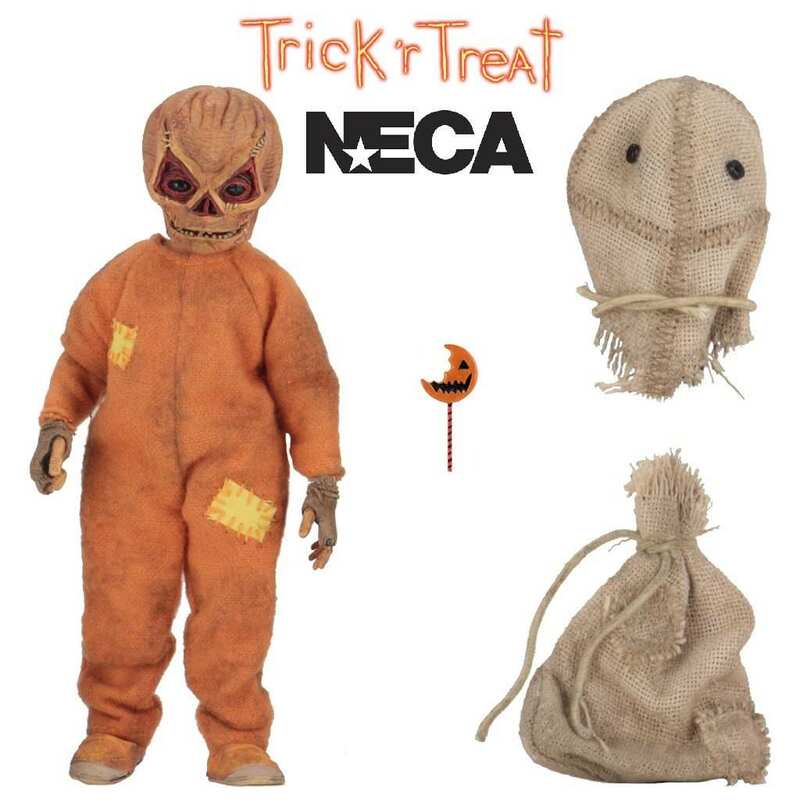 This new figureof Sam is in scale with NECA’s additinal 8” clothed figures, and he stands at approximately 5” tall and comes dresses in his usual footie pajamas and his removable burlap sack, which underneath reveals his unmasked head featuring jaw articulation. 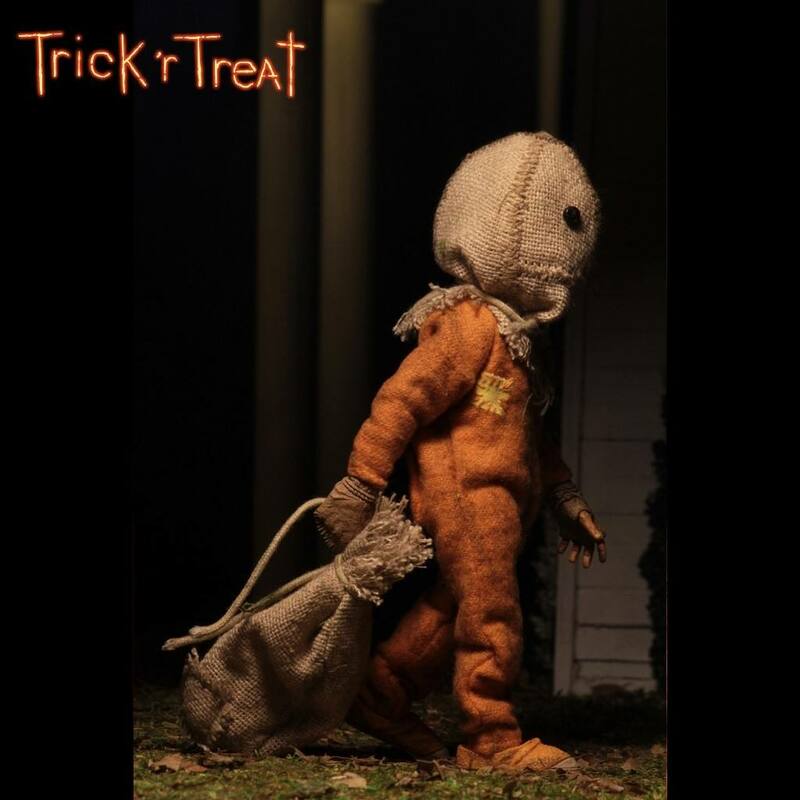 Sam is dressed and ready for Halloween night, and comes wth his Trick or Treat bag and lollipop. Comes packed in clamshell packaging that features custom art made just for this release. 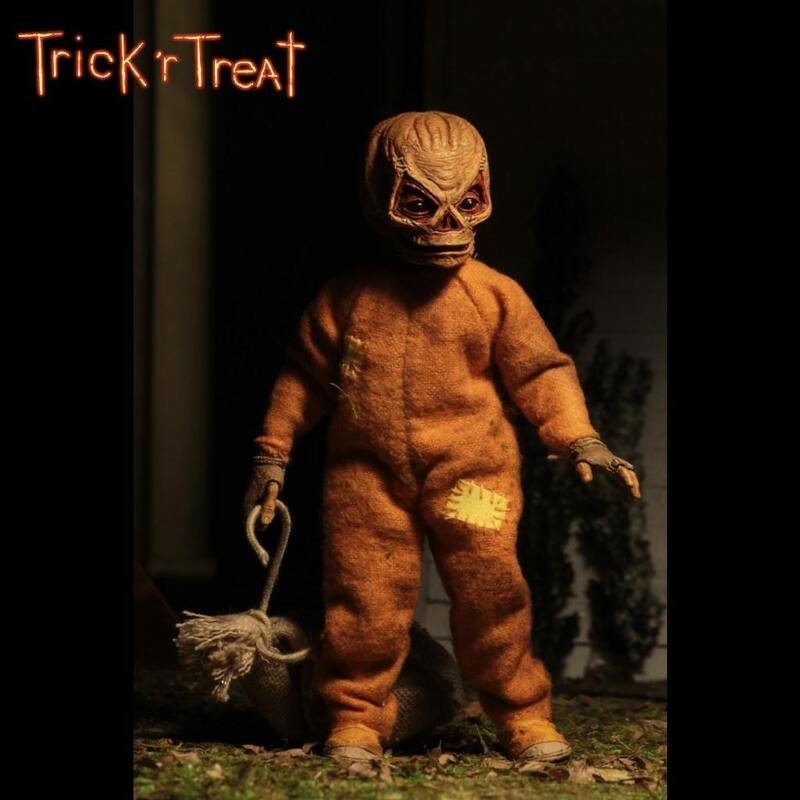 Another great release for horror fans.